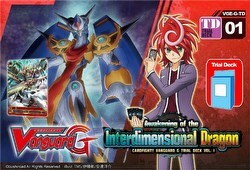 Possess the ability to transcend time and space with Awakening of the Interdimensional Dragon. Introducing a brand new clan - Gear Chronicle - which features powerful units with abilities that will overwhelm your opponent! 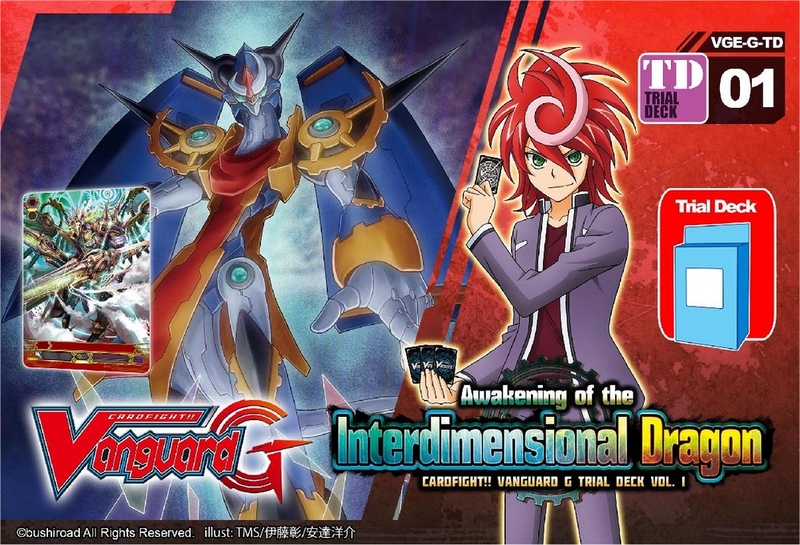 Witness the awesome power of the new "Stride" mechanic as seen in the latest Cardfight Vanguard G arc and stand a chance to receive 1 illustrator signed card randomly inserted into decks. 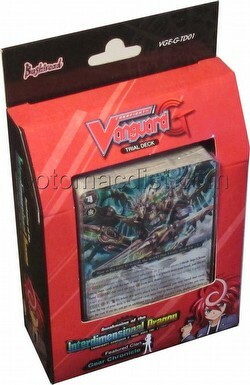 This pre-constructed Trial Deck can be used out of the box and comes with exclusive Trial Deck only cards which will delight new and veteran players alike. Each deck includes 52 cards (19 different cards - all trial deck exclusives, including 4 holo cards). A starter's guide and playmat are also included.